1. 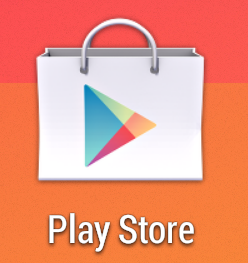 Click on the Play Store icon to open the Google Play Store. 2. 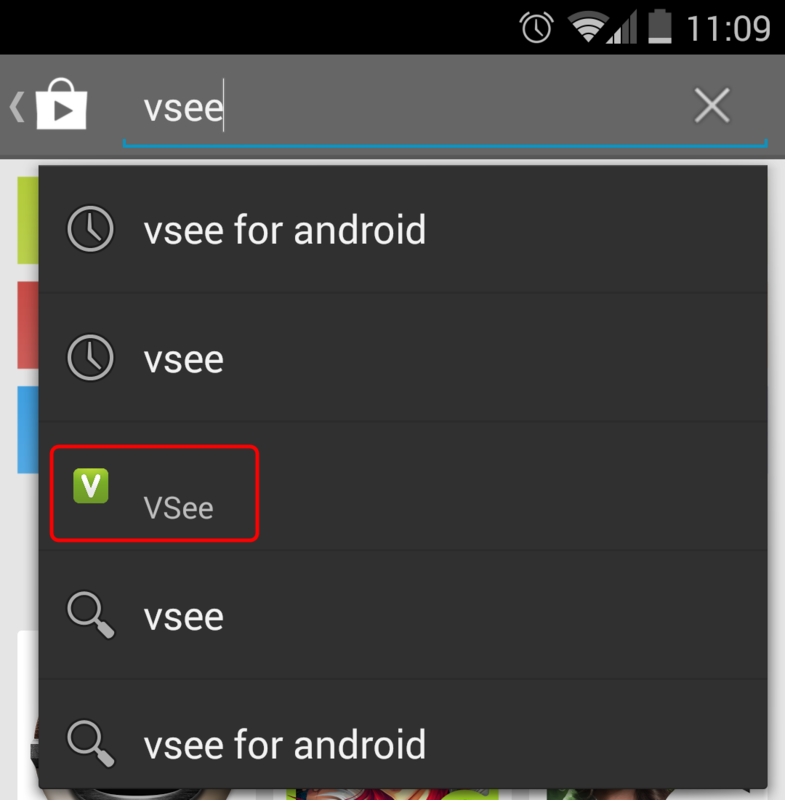 Search for VSee, and click on the VSee icon to be taken directly to the app page. 3. 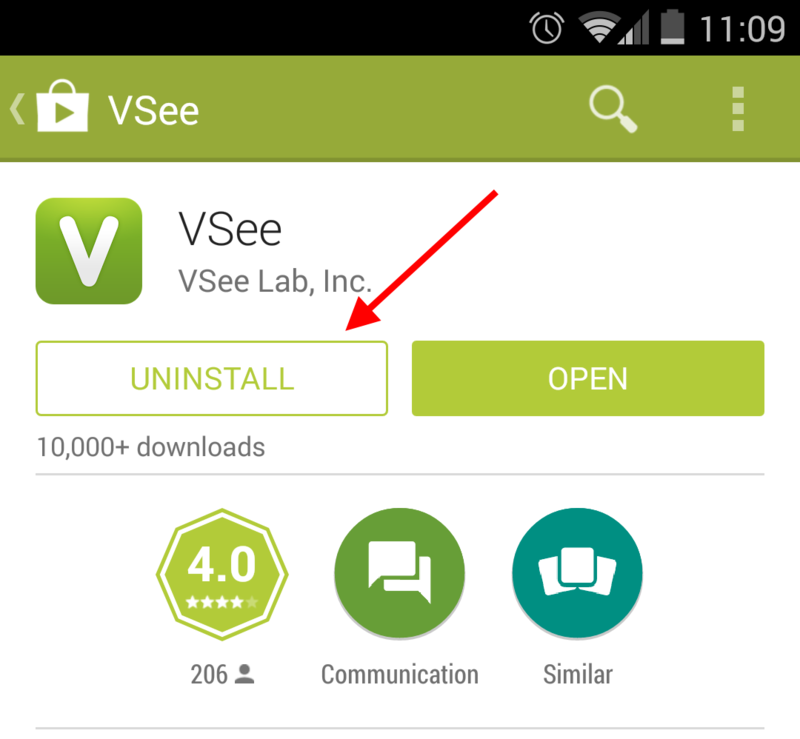 Click on the Uninstall button. 4. 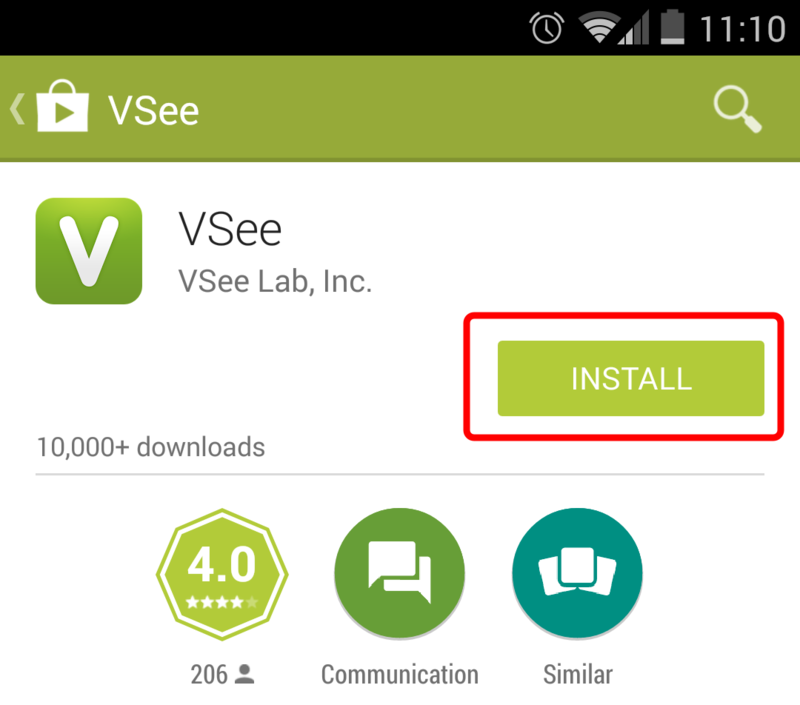 Click OK to confirm that you would like to uninstall the app. 5. 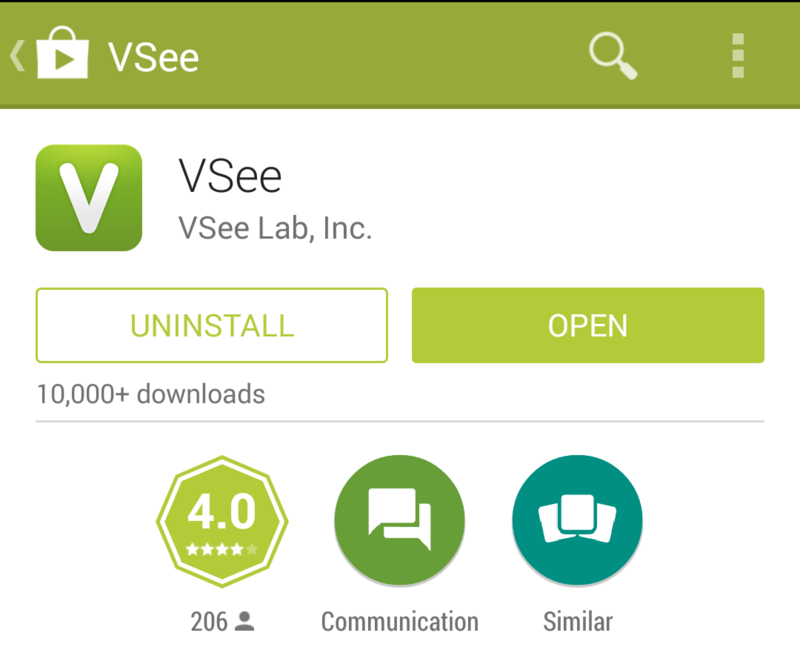 Once VSee has finished uninstalling, you should see its Google Play page again. Click on Install. 6. Click Accept to start the installation process. 8. 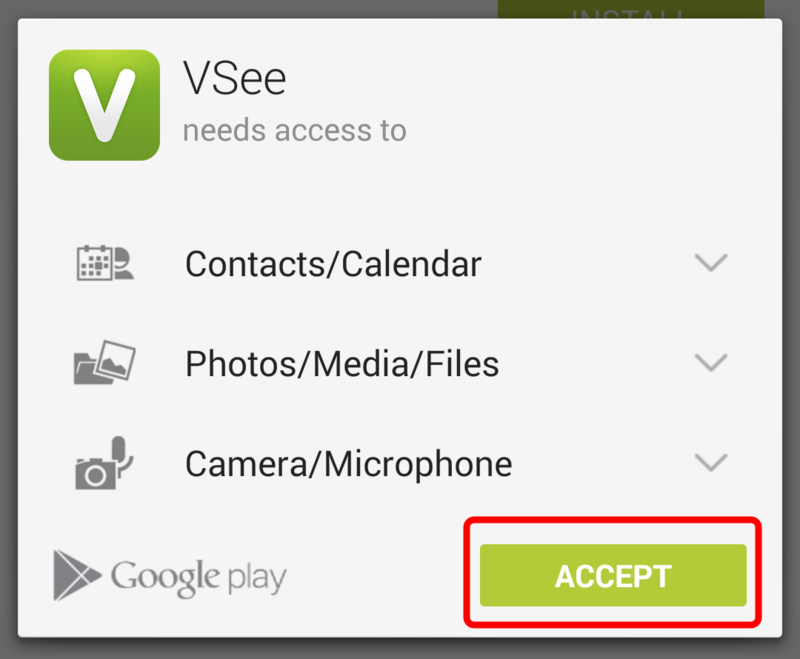 You don't have to open the application after installing it--as soon as the host clicks Connect, or a participant clicks Enter Waiting Room, SecureVideo will automatically launch VSee for you. Close the Play Store. This article was last reviewed by our Support team on April 22, 2016.